You are here: Home / Life Musings / Do I Have to Eat the Grits to Get the Tasty Stuff? Do I Have to Eat the Grits to Get the Tasty Stuff? I love this post by my friend Judy Helfand! So glad she wrote it for me 🙂 Judy Helfand is co-owner of Webconsuls, LLC, functioning as a Project Manager. She has worked for a number of Fortune 500 companies in both the banking and insurance industry and has successfully owned and operated two small businesses – a country inn in the White Mountains of New Hampshire and Webconsuls, LLC. 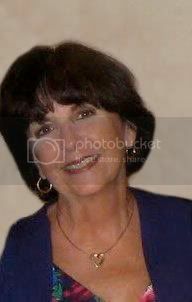 Judy’s personal blog is Judy’s Op-Ed and she also writes and manages Webconsuls’ Blog. Feel free to follow her Twitter @judyhelfand. Do you have a favorite recipe for grits? I was so taken by these few sentences that I stopped reading for a minute, dog-eared the page, and then thought about how most of what we do in the social media world is to use vehicles that might propel us into those prestigious social media communities and from there who knows. Remember when you would add excessive cream to your coffee and your friends might have quipped: “Gee, why not have some coffee with your cream?” The truth is you probably really didn’t like coffee, but if you added enough cream to it so you could tolerate the coffee and join in the old-fashioned coffee break – you were magically part of the community. But back to today’s virtual social communities, what vehicle(s) do you have to use in order to get to be where you want to be? Are you using these vehicles: blogs,Twitter, Facebook, LinkedIn, disqus, livefrye, chats? That’s just seven, there are hundreds. I don’t have to name them all. And yes, I know I didn’t mention Google+ or Triberr. Maybe the more important question is where do you want to be? Or need to be? Let me know what you think? Do you really like grits…or is it all the toppings? Judy, I think we may have grown up in similar households. Grits are definitely an acquired taste, and one you cannot acquire until you find your own mix. But, its still about the other stuff. What you have said makes sense to me as a newbie. The connections and engagements are what most of us come here for. And yes, it is those tiny sparks of connection that make all the difference in a day, a week or a month. The problem is that we get swept along with the current, and we feel we will be missing out if we don’t try sour cream with our grits, that we will get left behind. I think there is a difference in how much of the other stuff you have to do when doing it for your clients as opposed to those of us with nothing to sell…yet. To get to know anybody, you have to appear to be interested in them. That may require going a few places you’d rather not be, but the beauty of social media is that you don’t have to stay. Do you know how happy I am to meet you today? When Margie asked me to write a guest post I was so honored that I became totally nervous. Then today it went live and I wondered if anyone would read it and comment. And then there you were! I didn’t grow up in the south, but have traveled to New Orleans and Mississippi, Florida. Took the train many times from New Hampshire to Florida. To me grits are something you read about or see in a movie…and the way people talk about them…they just must be great. I have had them a few times. I always wondered why they just didn’t say: “Do want some hominy?” After my youngest son volunteered in New Orleans following Katrina…he came to stay with us for a while and insisted that I buy grits. He loves toppings on everything, so I am sure that is how he acquired the taste. As I said, the delicious toppings are all about meeting people. Today you are part of the “toppings”. I hope to meet you in person some day. I am a Yankee myself, but my family if from the South. Thanks for taking the time to visit the website. I look forward to meeting as well. Well that was a fun read! You know what? It’s all of it. It’s the vehicle and the other stuff. For instance, I enjoy just scrolling through my Twitterfeed as well as tweeting. The same goes for other social networks. It all depends on my mood really. And perhaps thats because I’m from the south where I learned to like plain grits and grits topped with cheddar cheese! Thank you. I am glad you enjoyed my post. I will have to remember to write about food more often. I am actually in the middle of a project to make prickly pear cactus jelly. I live in Tucson! I will let you know if I survive. I know what you mean about just watching the feed go by. I had to take a break a month or so ago, busy with projects. I missed my friends. I missed seeing what everyone was involved with – their ideas, suggestions, problems. Anyway, watching the feed is like having plain grits…tweeting back or being involved in a twitter chat like #blogchat is the topping. I see you live in Alexandria, VA. I have been there a few times. My brother was stationed at the Pentagon – Navy Captain. He was there for three years. Your header photo is wonderful – I have a friend that grows tomatoes on a small little farm in New Hampshire. Her tomatoes look just like your photo. Here is to good moods and all that goes with making grits remarkable! I know we have met in comment conversations over the past couple of years. I have to agree with you, eating preserves by the spoonful has never been desirable. I always want the preserves to be on something! So let’s talk about conferences. I have only been to Blog World. Blog World 2009 and 2010 – both in Las Vegas. I am going to Blog World LA 2011 in November. I have been going to Las Vegas since the 1950s, so it is always fun to see what is new. I lived in Los Angeles area off and on for 22 years…so going to downtown LA is no big deal (I worked downtown for a number of years – it is not an exciting downtown) but to add some “toppings” to this year’s adventure I am going to travel to downtown LA from Tucson by Amtrak! (it deserves an exclamation point – great post material). And yes, you are correct…the networking is well worth it, although recognizing people is sometimes difficult. I would like to suggest that someone create BIBS, you know like the kind you wear in a race? Your Twitter avatar and address would be large enough for people to find you in a crowd. I don’t think I have ever been to Dayton…but I hope to see you somewhere along the way. You know, this is an excellent way to analyze the blogging and online world, however… BIG however coming… The writer/author/starving artist in me (you know the type—nervous to the point of sickness when hitting the publish button. The one hyperventilating when a comment comes in, because it might be too critical…) is now terrified that my writing, in whole, might just be the grits. Maybe there is just a certain way I spin things that is the good stuff, but I don’t know what it is… you could turn into a nervous cat by thinking about it too much. Honestly, I love you take on this concept and I believe you are absolutely correct, but I am going to be very careful who it gets shared with. This could be taken too different ways. 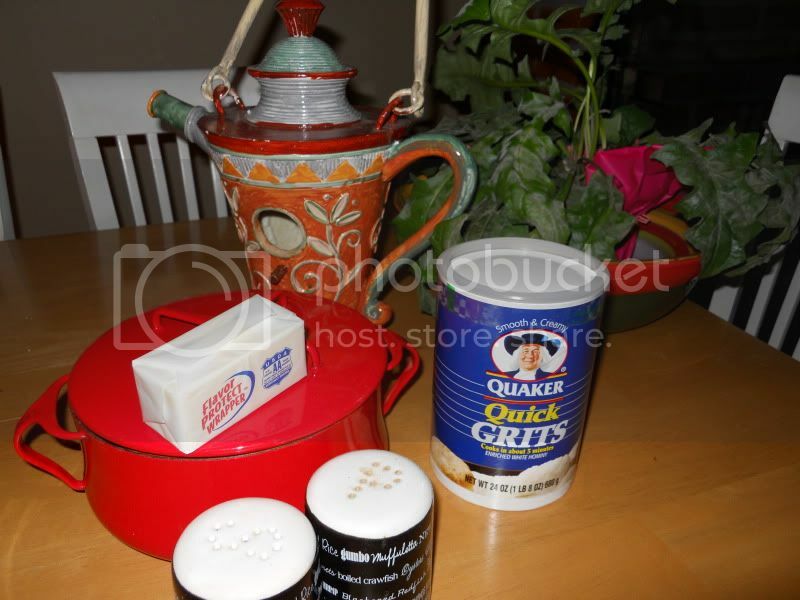 I am pretty sure, having spent the last 100 minutes…getting to know you a bit better, you are not just the grits. But even if you were…the grits really are the most important part of the equation. You cannot survive on just cinnamon and sugar. Today when I got to my desk at 5:00AM PDT I had an email from FEEDBURNER telling me that one of my “15” (you read correctly 15) personal blog subscribers had unsubscribed! I don’t really know this person, but I did spend about 15 minutes trying to figure out why he unsubcribed. [Even though I am almost 62 I still hyperventilate.] Then I read your comment and I have spent a good 90 minutes trying to make sure I understand everything that you were saying to me. The other day I read your guest post here about how new bloggers are like teen-agers. Really a good post. We all get are feet wet, we struggle, we try to imagine what life might be like if we really became stars in the social media world – here is my insight for today. Chris Brogan was not always a star. Go ahead look at his archived posts, they date back to 2004. Nobody was commenting. He grew, he made friends along the way, he has helped many along the way. The thing about teen-agers is that they are most likely going to grow up – hopefully in the shade of your love and guidance! Thanks for writing…not sure where you call home, but maybe we will meet in person some day. Uh, excuse me; nobody and I mean nobody should be putting anything sweet on a bowl of hot, steamy grits. Why, that’s blasphemy……………you have cream of wheat and oatmeal for that kind of nonsense. Yes, I can eat grits plain but prefer to mix them up w/ my eggs that have been cooked sunny side up. Pretty obvious where I’m from, huh? I love grits BTW if you couldn’t tell. It is nice to meet you and I can see you now! I am going to remember not to ask for anything sweet to be served with my grits. The only reason I referenced sweet things at all, is that other people along the way mentioned serving grits with butter, cinnamon, raisins, nuts, syrup, brown sugar, peanuts, butter, jam, cheese, fried eggs, chopped crisp bacon, and milk or half and half. Right now I am thinking about other items like rice pudding or bread pudding: two things I really don’t care for, because they seem out of place. (Hoping none of the readers take offense to that statement). I love yorkshire pudding…now that I think of it, pudding is a strange word and I am way off track here…and getting hungry. I like your blog, I like your writing. And I like that you like being you. Real! That was very nice of you to say; thank you very much.